I still haven’t had enough money to buy many new things in the last month so I thought I’d do another wish list. I’ve already done one of these for myself so this time I thought I’d do a list for the animals in my life, my lovely cats. Now my cats already have a cat tree (only Spock uses it and he only sleeps on the hard part at the top, go figure) and an igloo (but they hardly use this). Harley usually just sleeps on the bed, and they both spend a lot of time on the sofa with me. However, I still think that some beds that I’ve found for them are really cute and I’ll cross my fingers that they’ll use them rather than the box they come in. 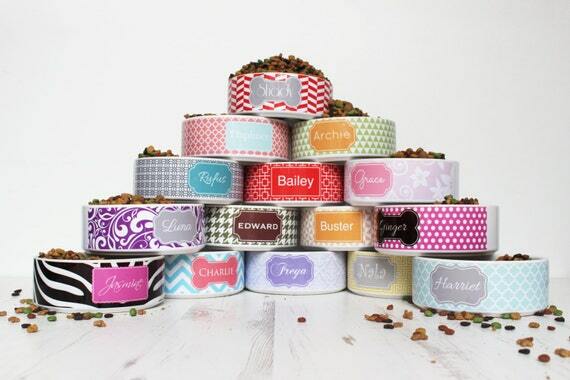 First are a selection from Pets at home. 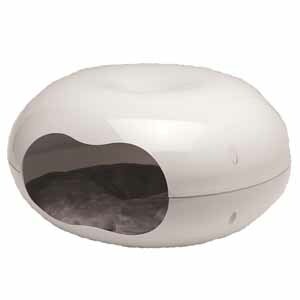 The Moderna donut bed (online only) which is £40.00, this bed has a sleek design and would make a cosy little den for the cats. It also has a soft, washable cushion. 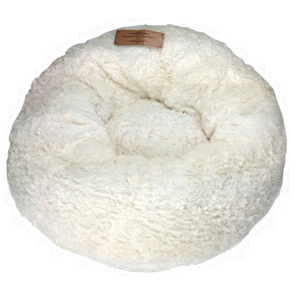 The rustic snuggle cream bed which is £24.00, this bed looks very soft and plush and I imagine the cats would love to lay on the comfy, snuggly cushion. 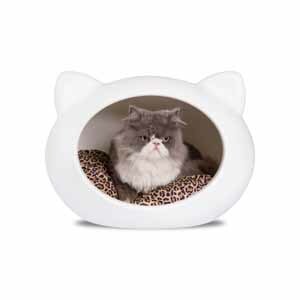 Finally, the Guisapet White Cat Cave with Animal Print Cushion (Online Exclusive) which is £70.00, I could never warrant spending that much on a bed for the cats, but I think this little bed in the shape of a cat’s head is so adorable. I also remember seeing a hello kitty version somewhere not that long ago. From Pet Planet come another three beds which I like. 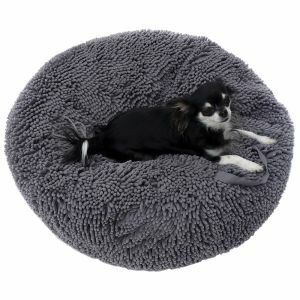 First is the Guisapet Monster Cave Pet Bed, which is £74.99. This is the same brand as the cat head bed from Pets at Home but in a monster design. I think this bed is really quirky, the cushion forms the tongue of the head, and it would make for some hilarious photos. Next are two sofas, which have now been discontinued, but I’d have liked one of each for my cats. They are the Ultra Plush Headboard Dog Bed (£99.75 down to £49.87) and the Ultra Plush Storage Dog bed (£89.90 down to £44.95), both from Enchanted home. These mini sofas are really stylish, but I wouldn’t like to clean the cat hair off them! 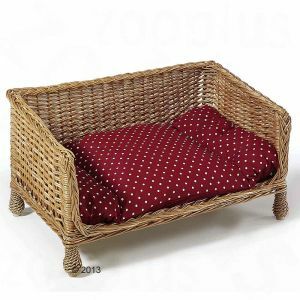 The next few are from Zooplus, the Aumüller Wicker Cat Sofa which is £59.99 down from £73.90, this is a really sweet, rustic looking little sofa. I think it would be nice for the cats to have a little sofa of their own. The varnish and fabric are non-toxic so the bed is suitable for pets. 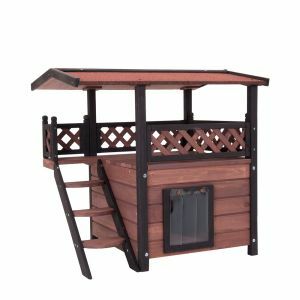 Also the Maisonette Outdoor Cat House which is £39.99 down from £64.99. My cats live indoors but I can imagine having a little solid house like this somewhere in my flat, however I’m not sure how they would feel about the flap and ladder. Additionally, the Frinchillo Pet Cushion which is £29.99 down from £49.90. This is a very expensive bean bag type bed, it is extra thick, filled with beads and has non-slip nubs on the bottom so it won’t move around. The beads inside mean that the cushion moulds to the cat’s shape, much like memory foam. Finally, the Siesta White Hammock which is £19.99 down to £15.99. This is a fairly cheap option and I think it’s a great idea, you can even fasten the hammock so it doesn’t swing. 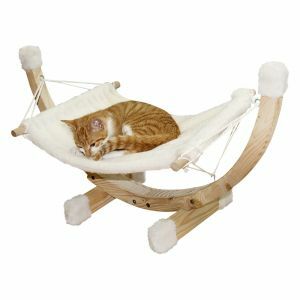 I really believe my cats would enjoy this bed and it would be amusing watching them try to use it. Another hammock style item is this Fabric Cat Maze Hammock Shelves from CatastraphiCreations on Etsy. These shelves are £101.31 which I guess is a reasonable price for cat shelves. You can also choose the stain of the wood and the colour of the fabric to fit with your décor. There’s plenty of space for lounging or playing and it looks quite comfy. Unlike the above items this one has space for both of my cats to use at once, even if there might be turf wars. This product ships from America so I imagine the postage would be quite high on top of the price. 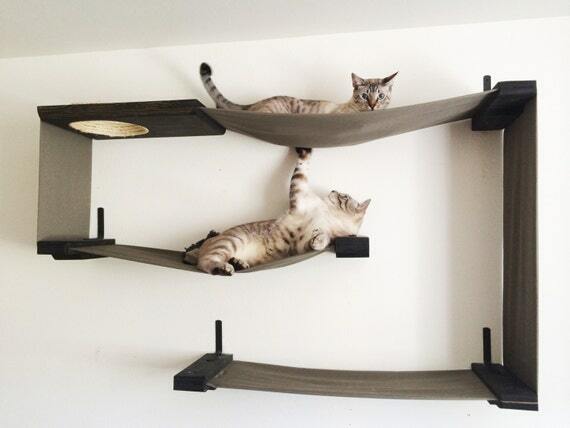 A cat shelf system which you can design yourself sounds very appealing to me, when I move into a home I own something like this product from Purrfect Homes is going on my wall. They sell individual pieces ranging from £150 for a box to £1.99 for the screws, and you mix and match what you need to create the perfect wall space for your kitties.  Next is something which is very expensive and very silly. On Pet Planet I came across this One Fast Cat Exercise Wheel which is basically a giant hamster wheel for cats. 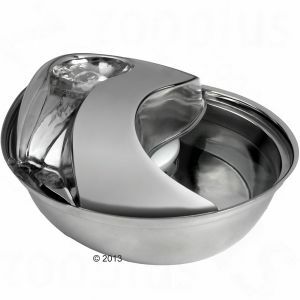 It is £219.99, I can’t believe it exists and I just wonder if my cats would ever use it. For that price I will never know. 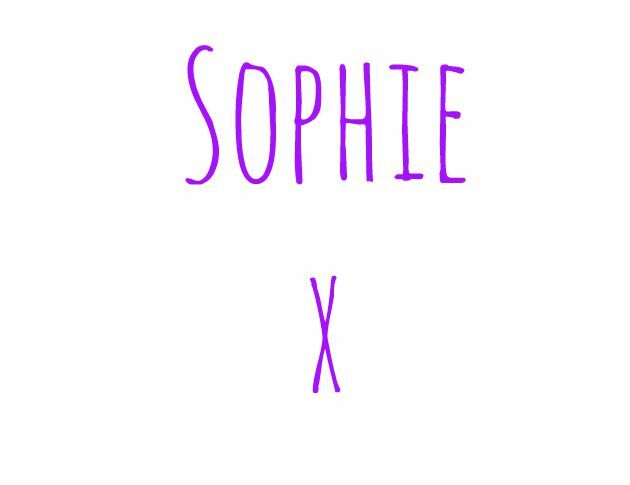 I also really liked these personalised pet bowls from WeLovePets on Etsy, they are a bit pricey at £20 but they are so cute! I doubt my cats would eat from their own bowls, Harley eats from wherever she pleases, so they are more for pleasing the eye than anything else. Another expensive but possibly helpful product is the Littermaid LM980 Mega Self-Cleaning Litter Box which is £249.95 on Amazon. That’s a mental amount to spend on a litter tray, even if it cleans itself. However, after reading the reviews, these boxes apparently last for several years so it could be worth it in the long run. Additionally I really want to get my cats a drinking fountain, Harley had a rough start in life and was born with one kidney so she needs a good water intake. I really like the Pioneer Raindrop one from Zooplus. It’s not the cheapest option as it is £49.99 down from £65.15, but I really think that this is the one that my cats would use. Now onto some toys, first a couple of cheap ones. This Ball of Furry Fury Squeaking Cat Toy from Pets at Home, which is £6. Spock loves squeaking mice, and Harley loves to pelt things around so I think they’d both enjoy this one. 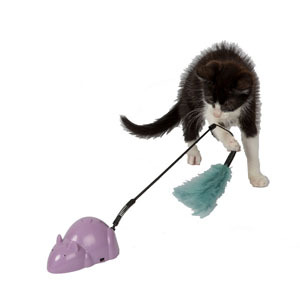 Also, the Baby Bea Crazy Tail Mouse Kitten Toy, which is £7. I would prefer this if it had feathers on the tail because my cats are obsessed with feathers, but I really think they could have some fun with this. Spock is also obsessed with lasers, at the moment we just have a laser pen and he knows the sound of you picking it up. He even gets twitches before you light it up. While I love running around with him and playing I don’t always have time so the Frolicat Dart Duo Laser Cat Toy (Web Exclusive) seems like the solution. It is £44.99 at Pets at Home, and while Harley prefers to watch Spock running around after the elusive red dot I want to give her the option of joining in, and maybe having two laser beams would be the answer. I’ve finally reached the end of this post, I feel like I’ve been researching this list forever. The last item is my favourite, it is only available to pre-order in America at the moment, but I assume it will be available in the UK at some point. It’s the Kittyo and it is $249.99. I get serious separation anxiety when I leave my furry children at home and this could be the answer to all of my problems. 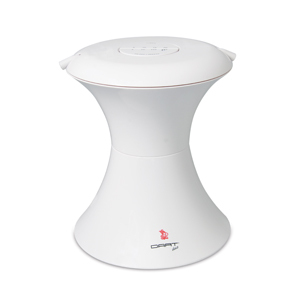 It’s a combination of a laser, camera and treat dispenser and you control it with your smartphone. You can even speak to your cat and record videos of you playing together. The question is, is it worth the price? I reckon that it is. Previous Post Tofu scramble, homemade salsa and roasted veg.